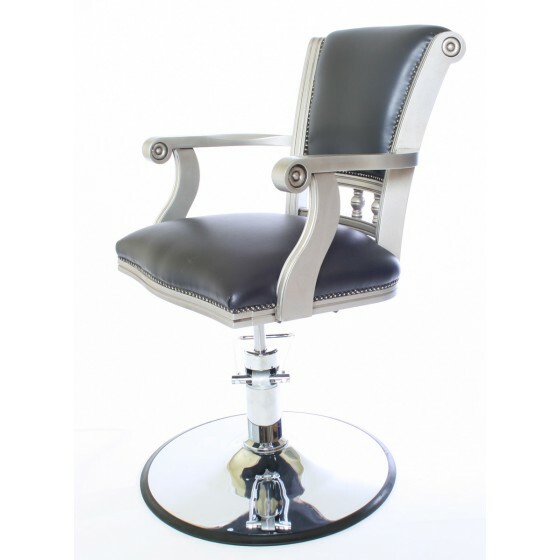 -- Please Select --"Manta Ray"Crocodile - "Socodillo"Leather Grain - "Sottega Masterpiece"Stitches - "Magic Stitches"
WBX Pompador styling chair chair is an elegant, practical design with WBXs unparalleled supreme attention to detail. Build quality and classic design are paramount with the Pompador. Hand built to your specification by craftsmen in the UK. The WBX design team have taken this traditional antique style hairdressing chair frame and richly transformed it to become the WBX Pompador. 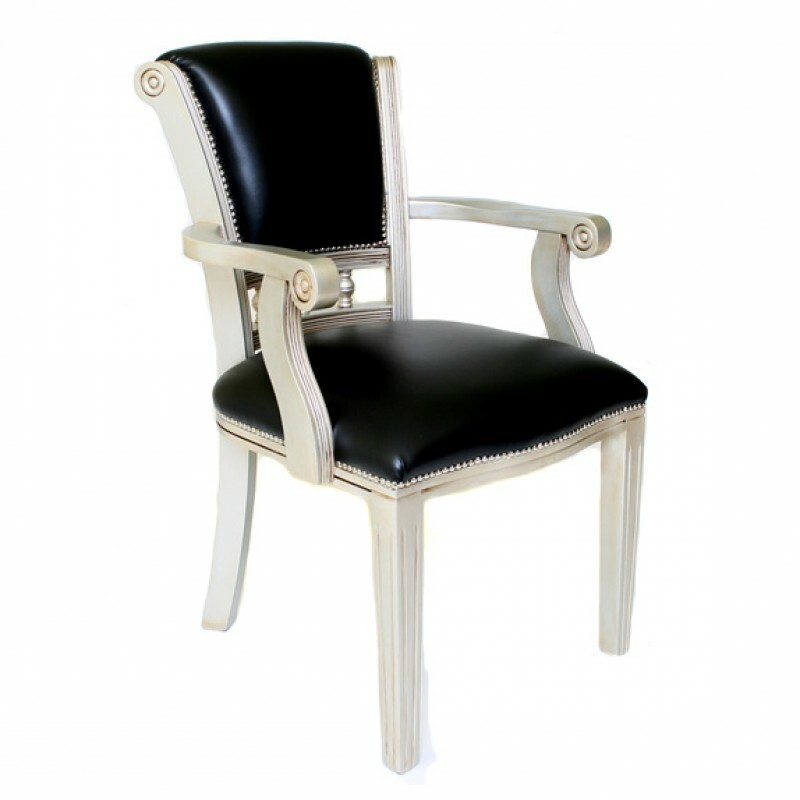 It will grace any salon giving it an immediate sense of character. Whether it is upmarket chic, contemporary, bohemian or a traditional barber shop. The frame has been strengthened to accept the WBX hydraulic, tested to 450lbs. Seat and back have been redesigned so there are no crevasses where hair can get trapped. 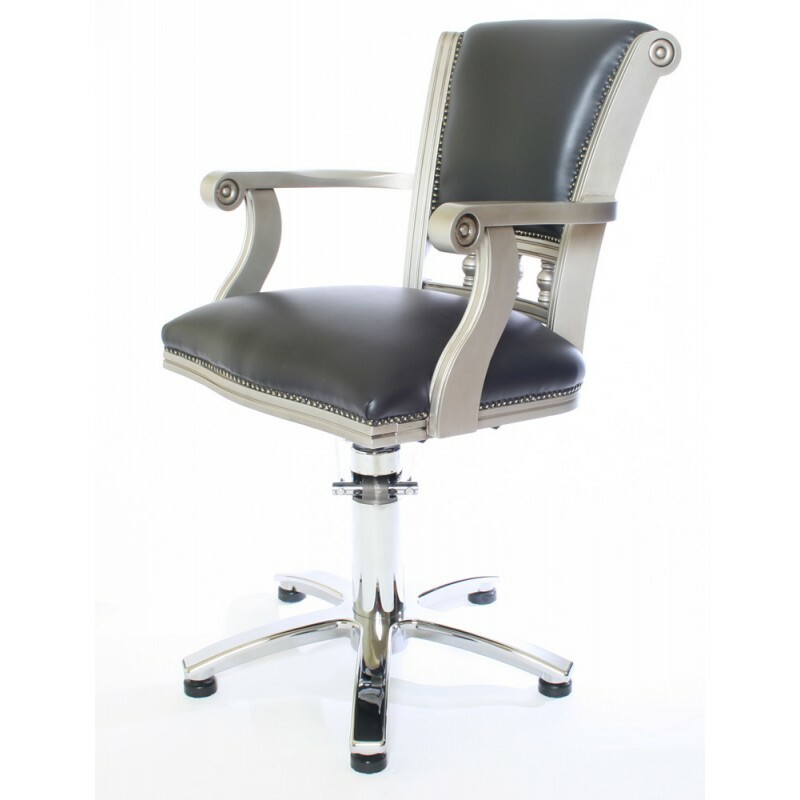 Its wrap around contoured seat and back make it very easy to wipe clean. WBX can use chrome or brass studs on the Pompador on the detailing of the arms and back to contrast with the chrome disc or 5 star base. 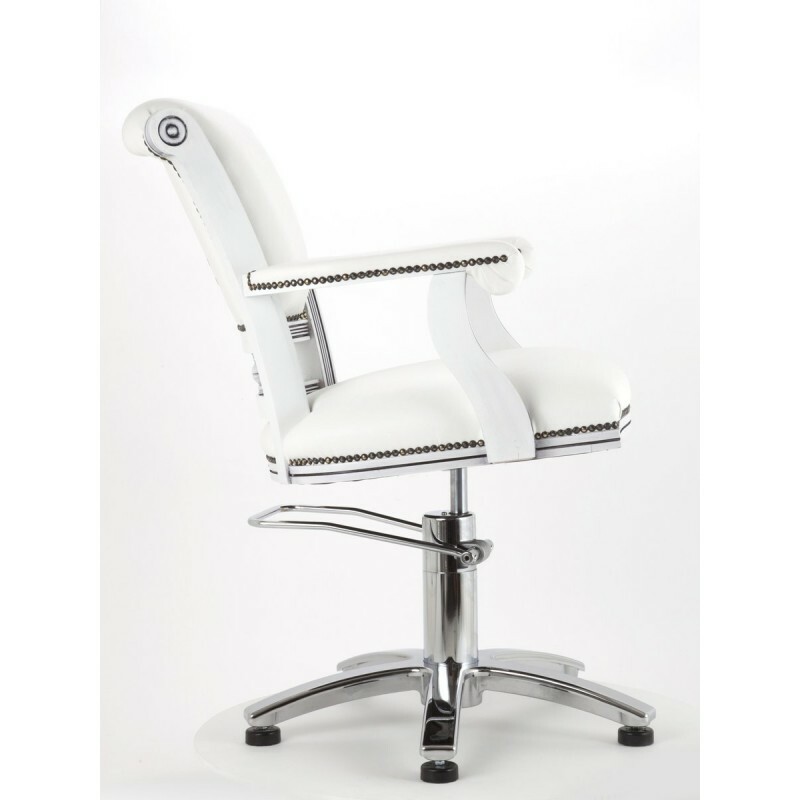 Available in virtually any colour to complement your salon decor and design. Also available as a 2000 washpoint. Choice of spindle colours - oak, mahogany, ash, ebony . Available in a stunning range of colours. 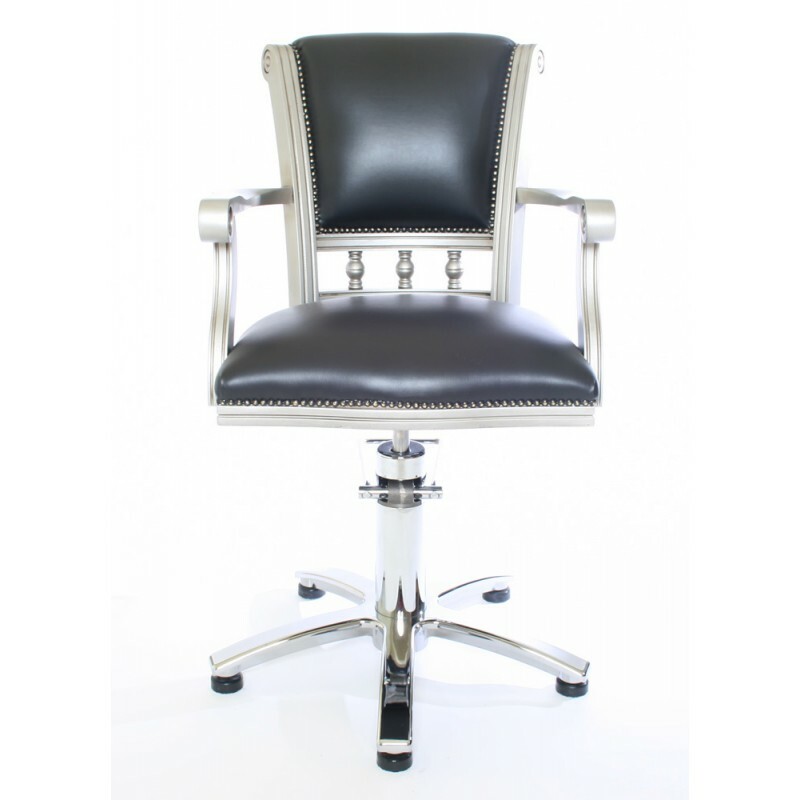 Each chair is individuallly hand crafted in the UK. 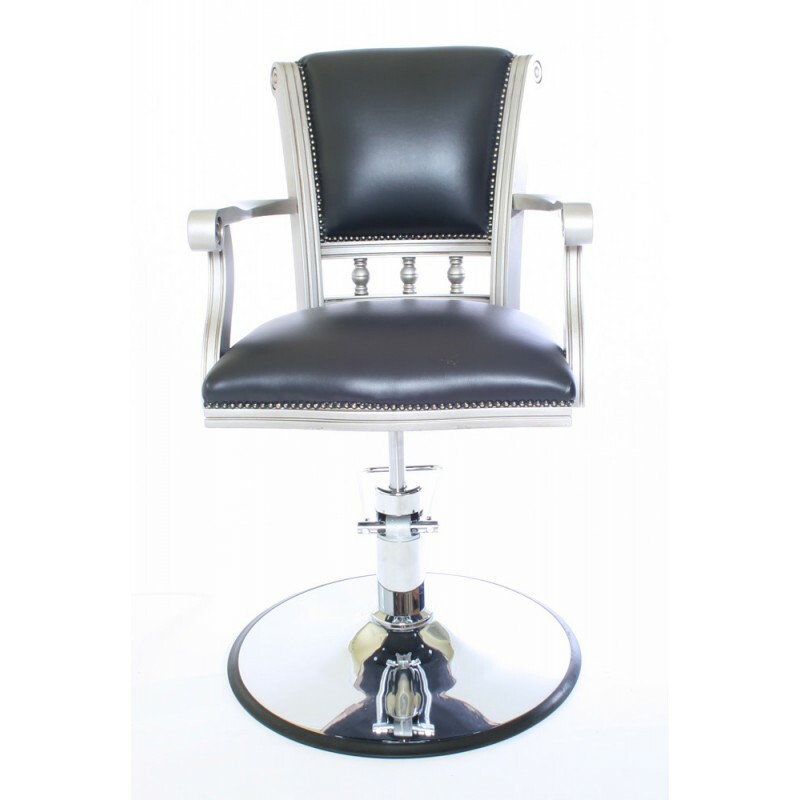 Review "WBX Pompadour styling chair"